Alphabet Tags are made from approx 2.5 mm thick premium grade MDF. Tags can easily be decorated with Felt Pen, Paint, Stain, Gel Pen etc. 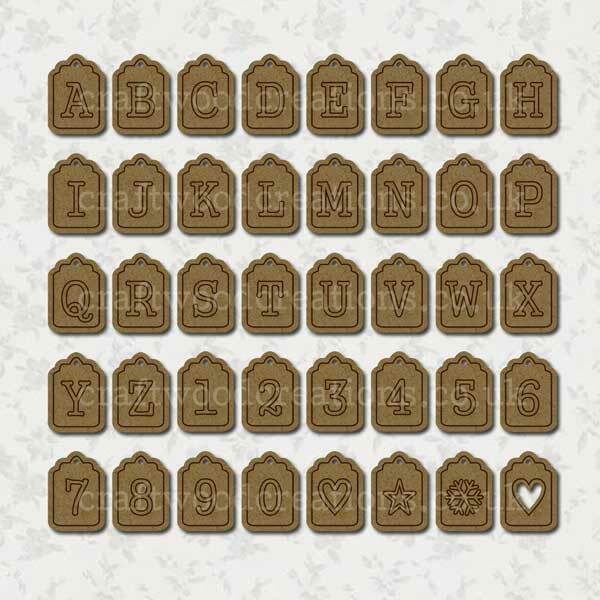 They are perfect for Scrapbook Pages, Cards, Boxes, Name Plaques, Wedding Themes etc. Use for Spelling Names, Words, Dates etc.